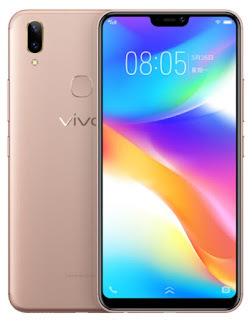 It is only few days ago Vivo launched their Vivo X21 and Vivo V9 smartphones in China.After these smartphones Vivo might launch soon another device with iphoneX like notch.The phone named as Vivo Y85 and it is already started its pre order in China through jd.com.Have a look at the features given for Y85. The phone comes with iphoneX like notch,which contains call speaker and 16 MP selfie camera.The selfie camera features f/2.0 aperture,autofocus and AI integrated beautification modes.On the back,it has 13 MP+ 2 MP dual camera with f/2.0 aperture and PDAF. It has 7.89 mm thickness and display features FHD plus resolution with 19:9 aspect ratio.Under the hood,it comes snapdragon 450 processor with 4 GB RAM.Android 8.0 Oreo will be pre installed with this phone. For connectivity,it has 2G/3G/4G,GPS,micro USB,Wifi b/g/n ,hotspot and bluetooth 4.1.It s pre installed sensors are light sensor and proximity sensor.The phone is backed up with 3260 mah battery. The phones supports dual sim with dedicated sd card slot.The memory card slot supports upto 256 GB while it has 32 GB and 64 GB storage variants.The 32 GB variant is priced at $285 and $316 for 64 GB model.It is available to pre order in jd.com with Black and Champagne Gold color options.